Christmas in Louisville - Underground? Christmas Underground? Have you ever considered spending a holiday evening underground, how about 75-100 feet underground? Until January 3, 2016, Louisville has a place you can do so: Louisville's Mega Cavern. The Mega Cavern is an old limestone mine that has been converted to a tourist attraction. Mining began in the 1930s and continued until the 1970s. The mine was successful, especially in the 1930s, because it created jobs during the Great Depression. The cavern spans 100 acres, goes under all 10 lanes of the Watterson Expressway with 70% of the Louisville Zoo located above. There are four entrances, the lowest being 25 feet above the flood wall. It's also largest building in Kentucky due to it being zoned as a buiding. Not that it makes much of a difference this year, but the average year-round temperature in the cavern is 58°. In 2009, public tours were started. Since then, other tourist attractions have been added. One of these attractions is called Lights Under Louisville. 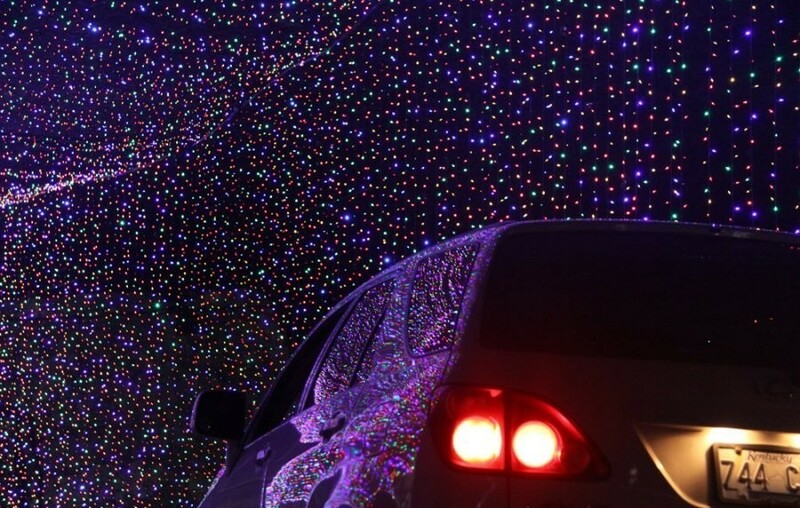 In its third year, Lights Under Louisville, allows you to drive your car through the cavern on a 1.2 mile, 30 minute tour. Lights Under Louisville is the world's only entirely underground Christmas light display. It includes 850 displays with over 2,000,000 points of light. Some of the displays are 25 feet high and 200 feet wide. For energy conservation, all the lights used are LED bulbs; making Lights Under Louisville the nation's first Christmas light show to do so. According to USA Today, Lights Under Louisville has been voted a top 10 Christmas display in the United States. The Mega Cavern charges per car, not per person, so load up your family to experience a one-of-a-kind event that all ages can enjoy. For more information, visit the Louisville Mega Cavern's website.